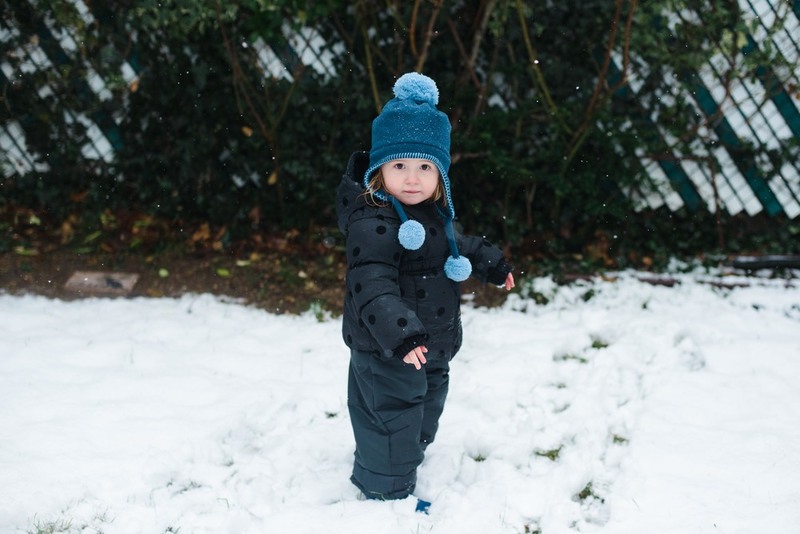 It snowed this week and you had fun playing outside and going for a sled ride. I foresee a lot more sledding in your future! You loved being pulled fast down the tiny hill on our front lawn. We went to music class on Monday and you really enjoyed the addition of movement to the class. You had fun jumping on the trampoline and you really liked making faces in the mirrors at the dance studio. On Wednesday we went into Manhattan and you slept through seeing the Rockefeller Christmas tree, but you enjoyed yourself at Sprinkles, a cupcake shop where we went to a birthday party for one of my co-workers. You ate two whole cupcakes! You now know all of your letters and can count to ten. What a smarty-pants!